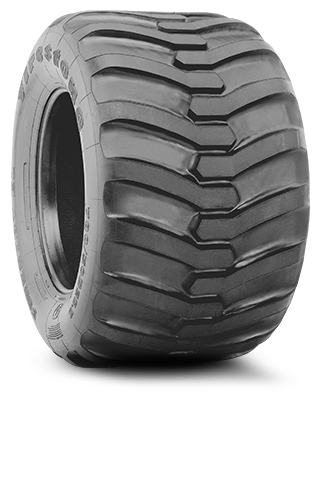 The Forestry EL 600/700 Tire is designed for use on forwarders and harvesters with a 20 ply construction that will handle heavy loads. It features steel tread plies for resistance to punctures and a 23 degree tread bar for excellent traction. It has a special tread and sidewall rubber coupounds for resistance to cuts, snags, tears, and weather checking. Its tread is designated as “environmental lug” (EL) for reduced ground disturbance. For pricing and availability, please call (207) 370-8473.